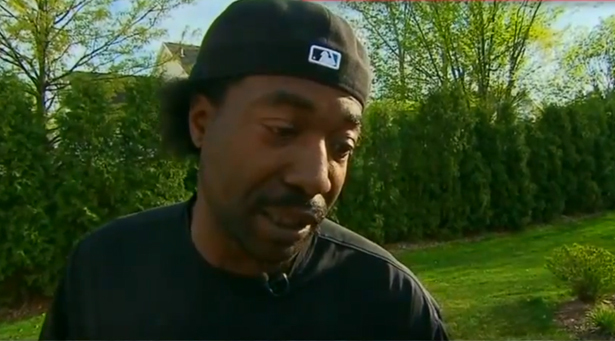 With his criminal record dragged into the light, Cleveland “hero” Charles Ramsey is being widely defended as more than his violent past. Can we learn from this? Knafelc, who is white, is not nearly as well known as Wesley Autrey, the African-American “Subway Samaritan” who in 2007 achieved instant fame after he saved a 20-year-old film student on the train tracks in Harlem. Unlike Knafelc’s case, in which no train was pulling into the station, Autrey saw the lights of an oncoming train and nevertheless, threw himself over the man, lying in a drainage ditch as train cars passed over them. It was an extraordinary act of courage; Autrey was showered with praise and gifts; Donald Trump presented him with a check for $10,000 and saluted him in the pages of Time magazine’s 100 Most Influential People issue. He was even an honored guest at George W. Bush’s 2007 State of the Union Address, where he received a standing ovation. But what if it was? What if it turned out that Autrey had a rap sheet like Knafelc’s? Worse, what if it turned out that he had a history of violence and had done time in prison for hurting people? Would “convicted felon” have trumped “hero”? Would he still have been welcome at the White House? To Ramos, it was apparently intolerable that a man that looked, talked and acted like Ramsey could possibly be hailed as a hero. He didn’t bother trying to conceal his racism, citing dubious “sources” who told him that “Ramsey appeared on a local TV station accompanied by an entourage of more than a dozen men, would not budge from the TV station’s green room, and had to be escorted off of the station’s property by police.” In other words, he is not only criminal at the core, he is threatening and generally obnoxious. “He couldn’t freaking speak English!” Ramos said on Twitter, after boasting that he was the first to break the story about his criminal record. Speaking on his own behalf, Ramsey told TMZ that his past actions “helped me become the man I am today and are the reason why I try to help the community as much as I can,” words that one blogger dismissed as a “valiant effort to put a positive spin on some despicable actions.” It makes sense that such a response might come off as self-serving; too many are willing to forgive domestic violence if it is committed by somebody whom people want to love and admire—see celebrities and sports heroes—and the blunt tools offered by the criminal justice system have proven woefully ineffective in addressing domestic violence. But the question of whether Ramsey is or is not a hero—a term he himself rejects—is ultimately not the most helpful or important, especially when we recall that all those we like to call “heroes” are, in fact, flawed human beings, even if those flaws are never exposed. As a fixed category, the notion of a “hero” applies to very few people in the American imagination—mainly to those who put on a military uniform—and a man like Charles Ramsey fits much more neatly in the public mind into a different fixed category—not just “felon,” with all its permanent implications, but “criminal,” a label automatically assigned to black men. In particular, the notion that black men who have committed violent acts cannot change and should be forever defined by that violence is what fuels our harshest prison policies. If there’s any value in the current debate over Ramsey’s “checkered past,” to me, it is that so many people are daring to suggest that a man who went to prison for a series of violent crimes can be more than that; that people are more than the worst things they have ever done. But even criminal justice reformers, for understandable reasons, tend to shy from taking on punishments for people who commit violent acts. Legislation across the country is aimed primarily at “nonviolent offenders.” Anti–death penalty activists focus largely on innocent people sent to death row—while widely pushing the next-most-punitive penalty, life without parole, for the guilty. Even behind bars, prisoners serving life without parole have less programming and are less eligible for compassionate release. When it comes to those who commit violent crimes, our most punitive instincts still rein. Race has everything to do with this. Fear of black criminality continues to drive permanent punishment, based on the idea that African-Americans are less capable of rehabilitation or redemption. So African-American kids are given life sentences at a staggeringly disproportionate rate. So Assata Shakur finds herself on the FBI’s Most Wanted List forty years after the crime for which she was accused, based on the claim that she represents a threat to public safety. So Texas prisoner Duane Buck faces execution date after execution date in part because a state psychologist told jurors that, as a black man, his potential for “future dangerousness” was higher. I recently sat in a Memphis courtroom as a white prosecutor pointed at a black man whom he hoped to send back to death row, imploring jurors not to be fooled by the “well-dressed, well-groomed” man before him. “Not quite the same as he was back then!” he cried, triumphantly, pointing at a sixteen-year-old mugshot of the defendant, confident that the dark image of him in a hoodie would look threatening enough to scare the jury. You can put a black man in a suit, in other words, but underneath it he is still a criminal. Some criminals, like some heroes, are allowed to be complex, as we are reminded in the wake of mass shootings committed by white men who are immediately scrutinized for signs of mental illness. Confusion and debate over what Ramsey really is—criminal or hero (or jolly Internet meme)—shows how little complexity we afford people like him. It may have taken an extraordinary action, the saving of three white girls, to make him worthy of people’s collective empathy—and it’s certainly likely that if his criminal record included, say, first-degree murder that this empathy would largely evaporate. But if we more broadly applied the logic of legions who have lept to his defense as a changed man, if we started thinking that more people might be worthy of a second chance, we might start to change the conversation around prisons and sentencing. Every day behind prison walls, inmates—some elderly, some caring for them—wonder, like Christopher Knafelc, if they, too, are “good” people; if they, too might have contributed something to the world if they had been given the chance to try again. Charles Ramsey did. Can we dare to imagine that there are many others like him? Youth activists from across Florida are rising up to defend a pushed-out high schooler from Polk County. Read more at StudentNation.